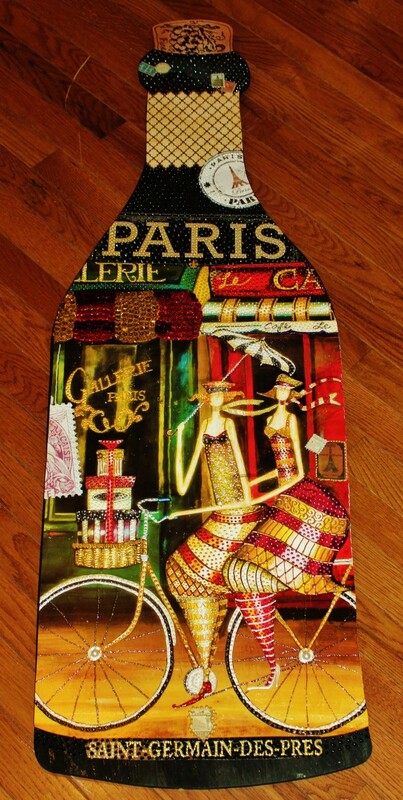 This beautifully colored Wine Bottle will bring life to your Bar Room! 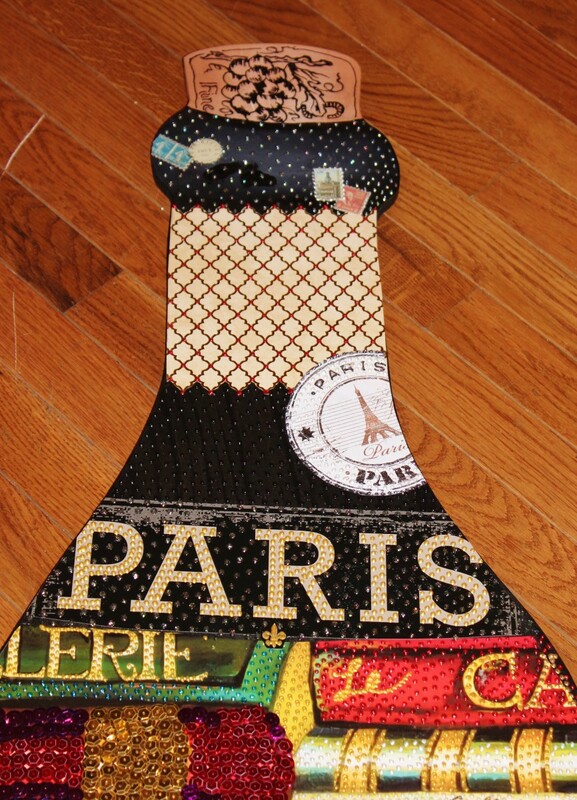 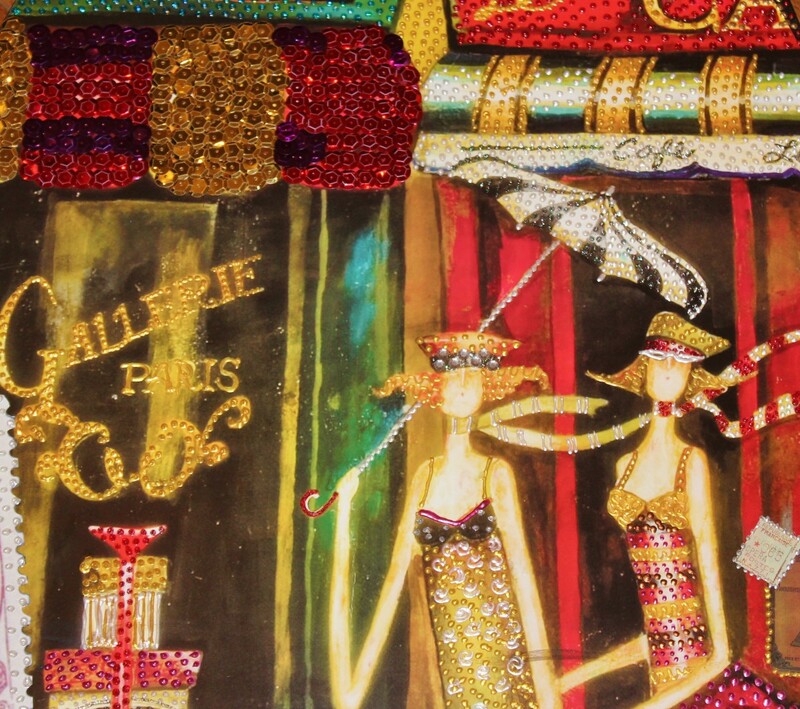 Take a stroll through the Cafés of Paris with these two gals and enjoy Libations in Style! 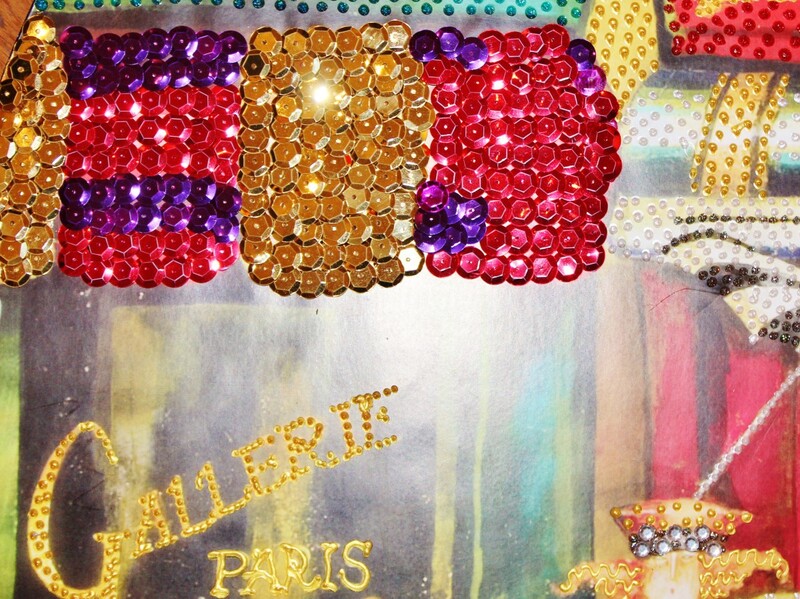 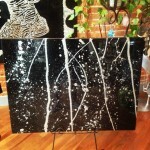 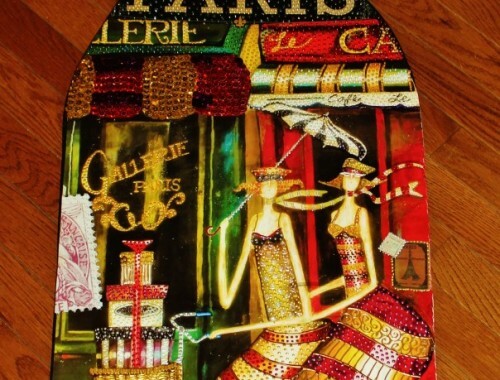 40″ x 15″ Collage and Sequins on Acrylic Paint on Wood.